Every year, there are countless "new" hair trends which are basically recycled trends from years ago — just marketed in a different way to keep things fresh. But then there's true innovators, like Kansas-based colorist, Ursula Goff. Her clients don't need to bookmark a picture from their favorite influencer's IG page, unless that influencer happens to be a national park. Yup, Ursula gets her hair inspo from the most gorgeous and underrated thing around: Nature. 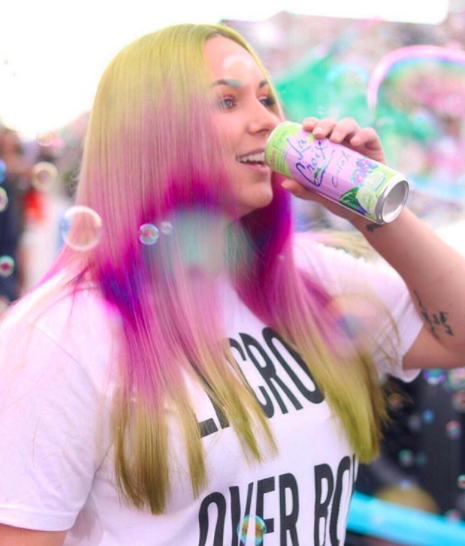 She posts side-by-side pictures of her clients’ hair and the inspiration behind it on her Instagram account. Like this gorg look, inspired by hot springs. Or this Icelandic volcano hair with gorgeous contrasting colors. Nebula hair that's out of this world. Sorry for the space pun. Or this unique dye job, inspired by mother of pearl. Northern Lights is common one, according to Ursula. And I never thought I'd say this, but I'M HERE for a sunflower hair trend. Or a gorgeous blooming rose trend, IDK! 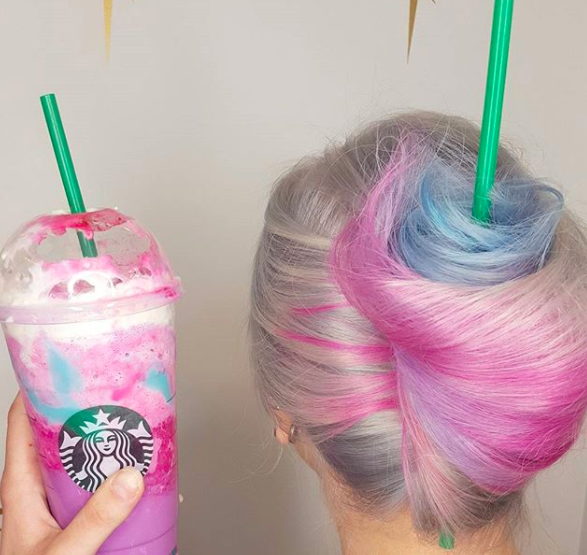 If you're super into ~astrology,~ she's also played around with dreamy constellation hair. And if nature isn't really your thing, Ursula also finds inspiration in works of art. Fancy a little Van Gogh? And your favorite adult beverages. If you're a fan of Ursula's work, but can't make it to Kansas for a makeover, you can always check out her website for tutorials, videos, and other kinds of inspiration. Ready to start the year with a damn volcano on my head!